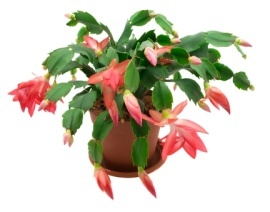 Read about the Thanksgiving Cactus. COMSOG’S HAPPY HOLIDAY PARTY IS SCHEDULED FOR THURSDAY, DECEMBER 13TH! Time: 6pm to 9ish – Location: Thalia Scanlan’s house at 444 Lambert’s Cove Rd. Bring your favorite finger foods, appetizers, desserts – whatever tasty treats you’d like to share! We’ll provide plentY of libations – hard and soft... hot and cold!!! Also – to add to the fun — bring a small wrapped gift $10 or under – for our “Chinese Auction” - or Grab-Bag. It’s always a great time to share the joys of the season while we take a small time-out from the greenhouse for family and fun! Need help? Thalia’s home phone is 508-696-0305 or (M) 508-221-0414. Wednesday December 12th we will meet at Ken and Alba's house to send out membership information and renewal forms. Our January meeting at the greenhouse will be a planning meeting. Bring fund raising and planting ideas. Lots of greens are growing in the greenhouse. Do you have a favorite kale recipe?